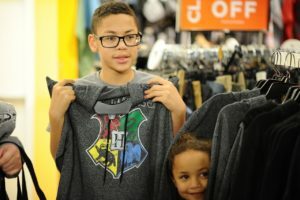 This year, we were excited to have the opportunity to clothe over 1,600 children! 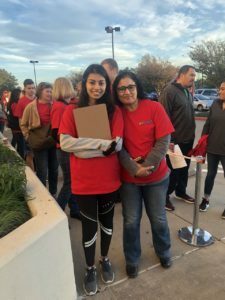 We had three Around the Block events in November 2018: ATB Southlake on November 3rd, ATB Arlington on November 10th, and ATB Austin on November 17th. Children and families lined up for the opportunity to go shopping for clothes. As these children were from families at or below the poverty level, this was the first time for many of them to buy brand new clothes. 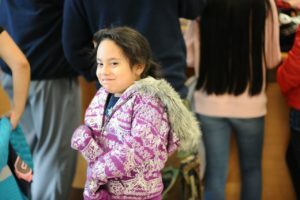 To make this event possible, we needed hundreds of volunteers to shop with these children. Between all three events, we had nearly 600 volunteers sign up! We cannot say thank you enough to these wonderful individuals who were willing to take time out of their busy schedules to help us with these events. We couldn’t do Around the Block without our amazing partnership with Kohl’s department stores. They have given so much to this organization. And of course, our spectacular Kids Matter board members contributed an incredible amount of effort and time to make all three of our ATB events the best that they could be. We look forward to growing these events in the future. Thank you again to everyone who made ATB 2018 such a huge success.